Dir. amy flannery | Documentary | U.s.a. | 2014 | 77 min. In 2011, Matt Rutherford embarked on a mission to become the first person to single-handedly circumnavigate the Americas without stopping. For most of his teenage years Rutherford careened between drug rehabilitation facilities and juvenile detention centers. After graduating high school with a strengthened moral compass and an intensified need for adventure, Rutherford bought his first boat. By the age of 30 he had broken two world records and proven what determination, grit, and courage can accomplish. Ross Gannon and Nat Benjamin, owners of Gannon & Benjamin Marine Railway, will moderate the post-screening discussion. 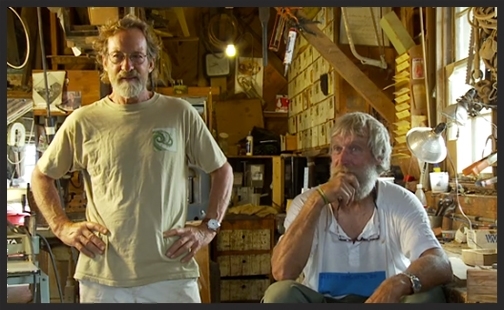 Ross and Nat founded their wooden boat building business in Vineyard Haven in 1980; their mission and passion is the designing, building, repairing, maintaining, and sailing of wooden boats.